Unit 8 At the weekends Period 1 part C&D. 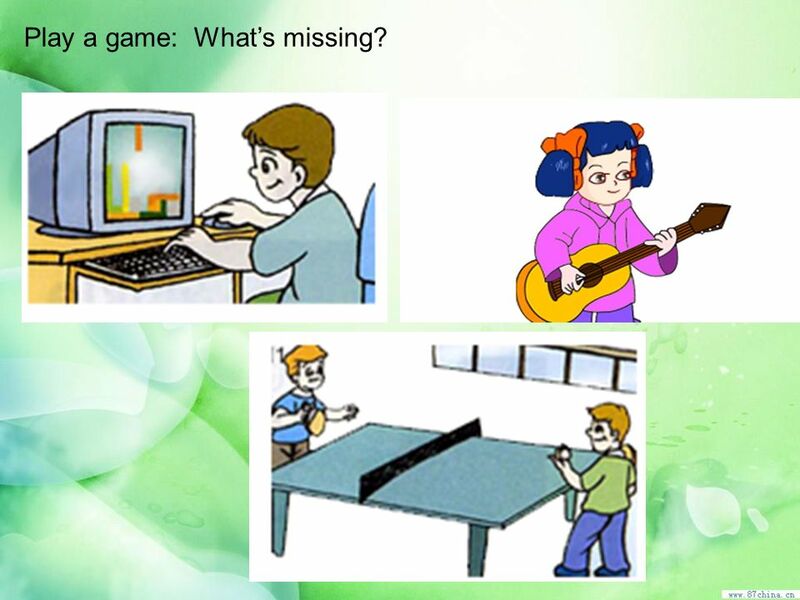 2 Play a game: What’s missing? 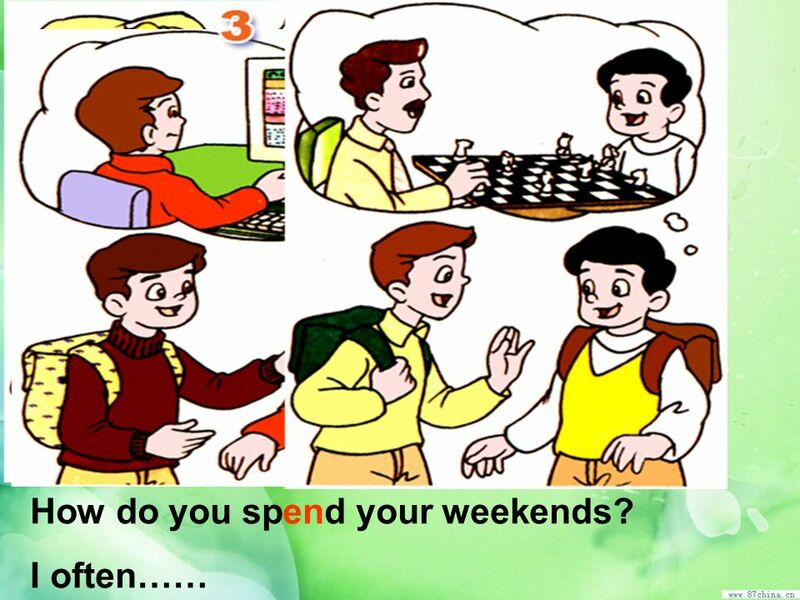 9 What do you usually do at the weekends? How do you spend your weekends? 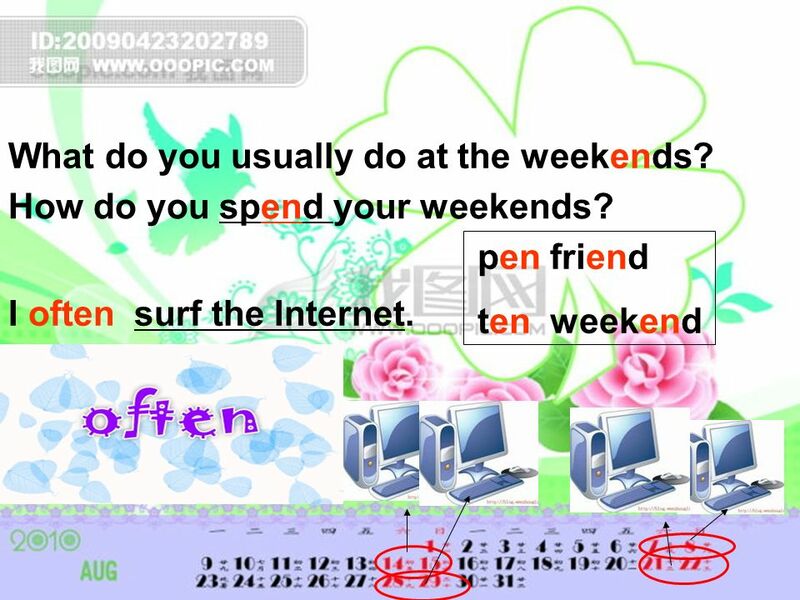 pen friend ten weekend I often surf the Internet. 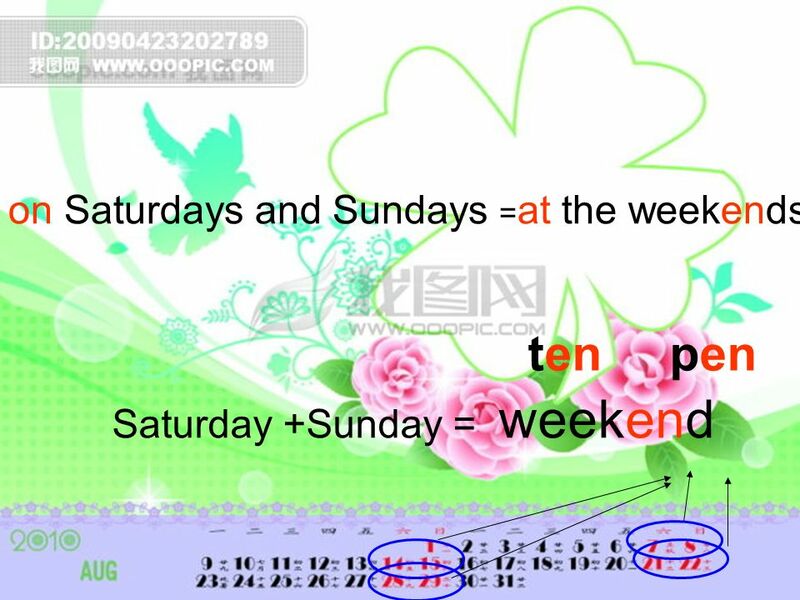 10 How do you spend your weekends? 11 How do you spend your weekends? I often surf the Internet. Sometimes I wash the clothes. 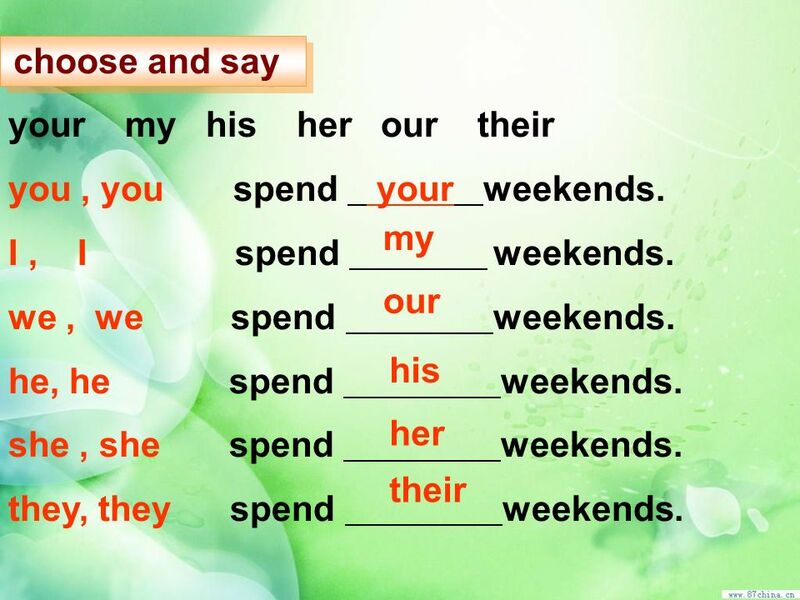 13 your my his her our their you , you spend your weekends. 15 How does she spend her weekends? She often Sometimes she watches TV. reads books. 16 How does he spend his weekends? He often Sometimes he plays cards. listens to music. 17 How does he spend his weekends? He often Sometimes he washes clothes. 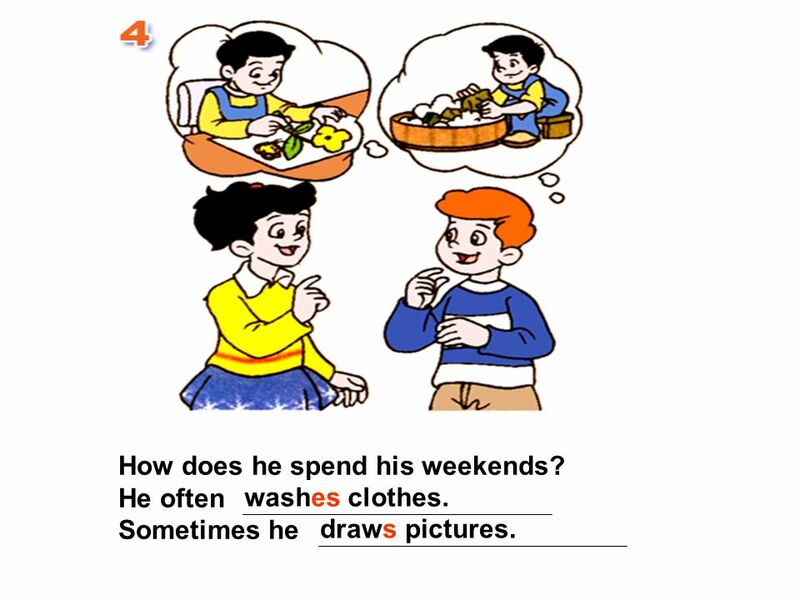 draws pictures. 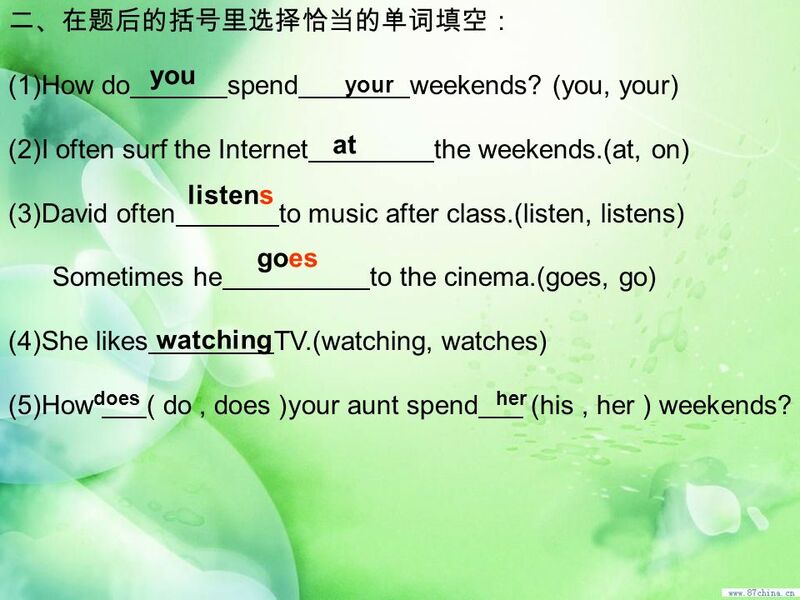 20 三、Write a letter to Miss Zhang, talk about (谈论……) your family’s weekends . 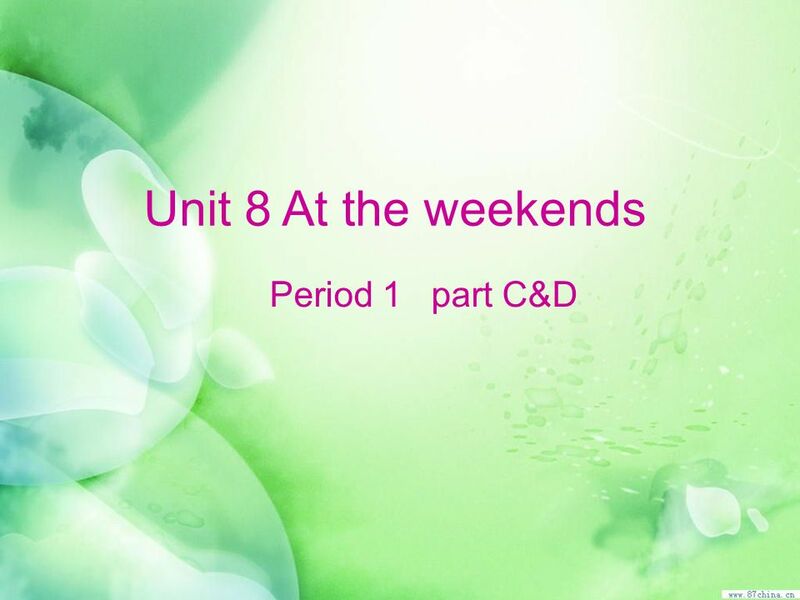 Download ppt "Unit 8 At the weekends Period 1 part C&D." 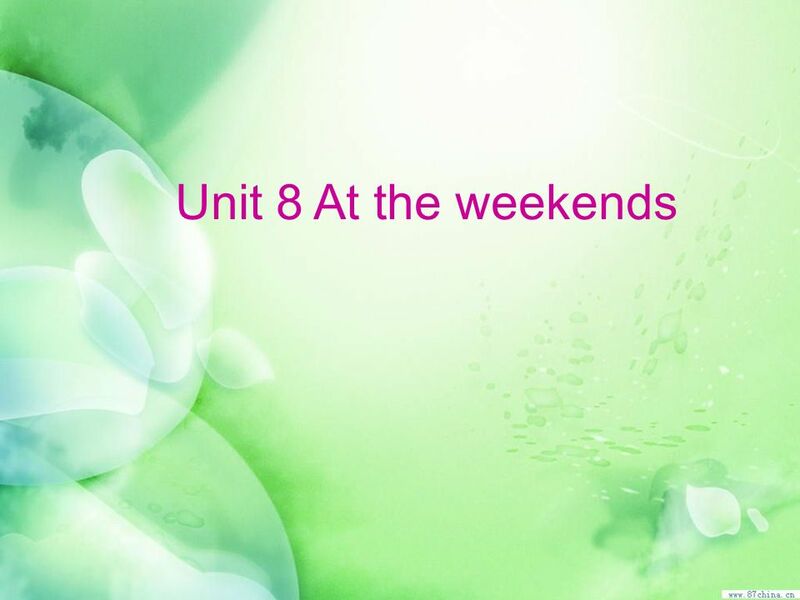 Unit 9 How was your weekend?. The Past Indefinite. 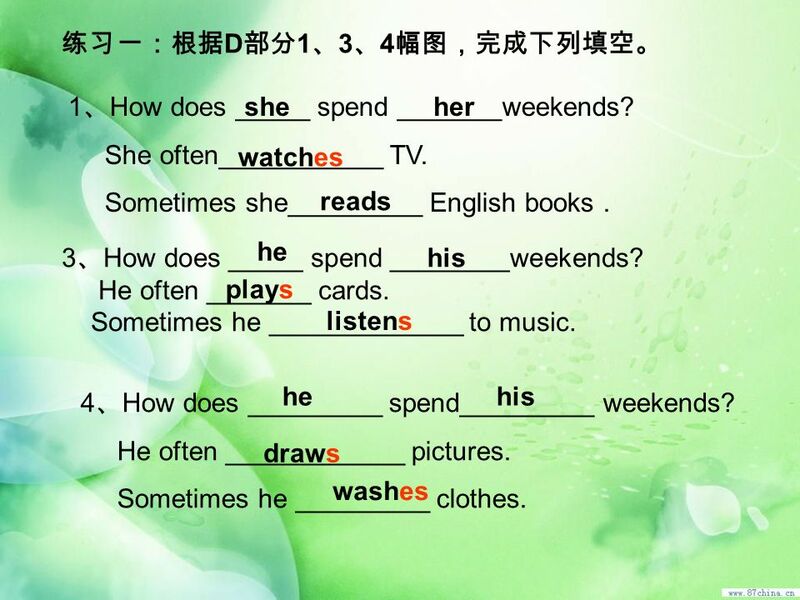 Unit 1 This is me Grammar. 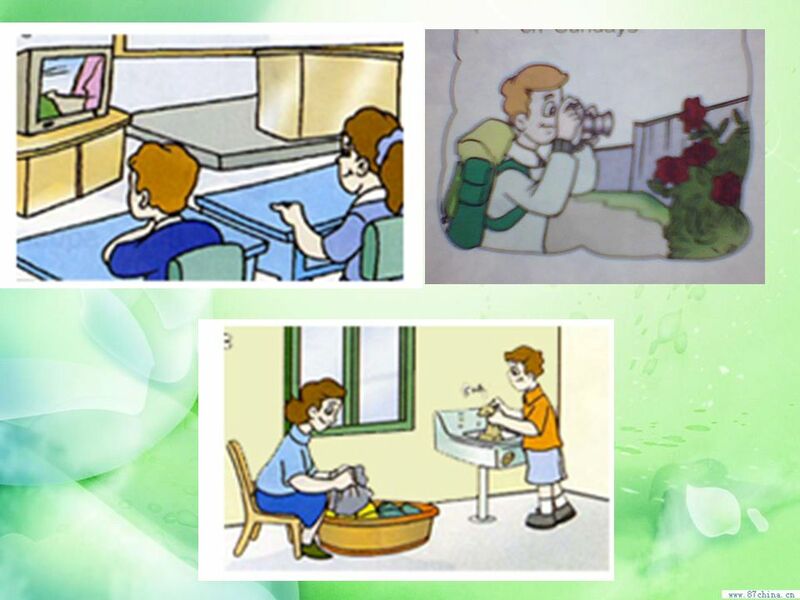 Unit 5 On the farm Miduqiao Primary School Sun Xiafen.
. Studies this matter, lacks the time but is lacks diligently. 5B Unit 8 At the weekends (Part C D F G H) Read and guess! 1. It has long legs. It jumps high. What is it? 2. It likes flowers. Its beautiful. What is. Who Should Emma Choose? SEN Knowing and Growing. Can you decide who Emma should go on a date with? Unit 1 How often do you exercise?. 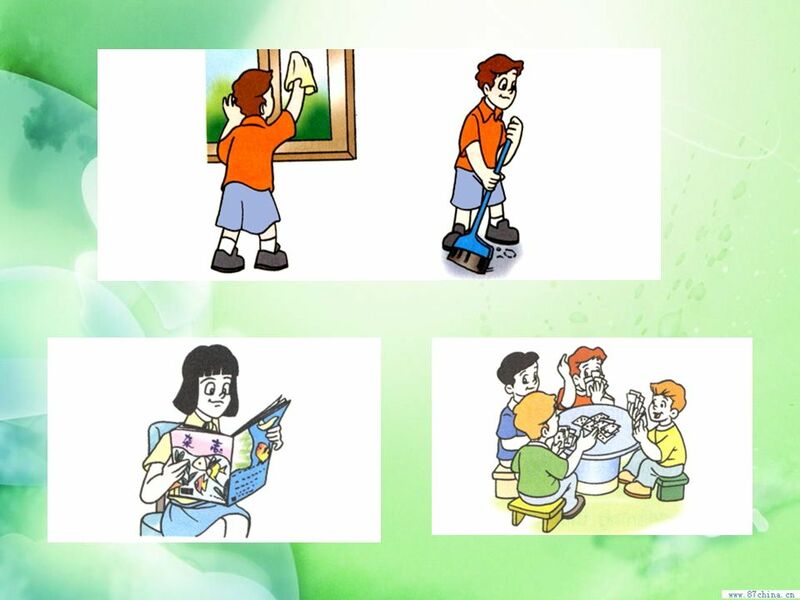 skateboarding surf the Internet have pizza do chores exercise. Past, Present, Future. 5 класс (УМК Биболетовой). My Week by D. Timoshenko. My name is Dima Timoshenko. I am a pupil. I go to school every day. I like to swim, to dance and to play computer games. 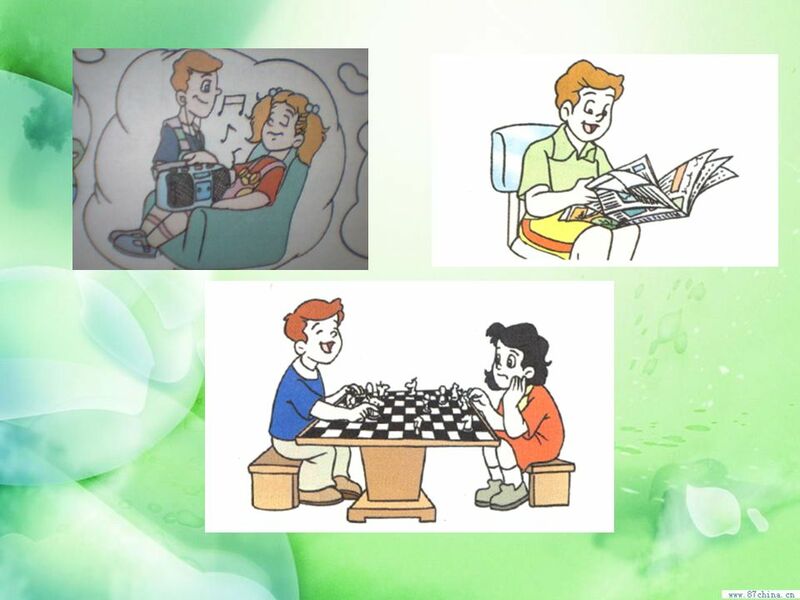 Welcome to “Our Daily English”. Introduction Create a personal website Chat on the Internet with students abroad. It’s me. My name is Leysan. I’m 11. I’m a pupil of the 5th form. I live in Kazan with my family: my mother, my father and my sister. Unit 8 WE HAVE A LOT IN COMMON SECTION 1. Do we like doing the same things? Do we have the same hobbies? 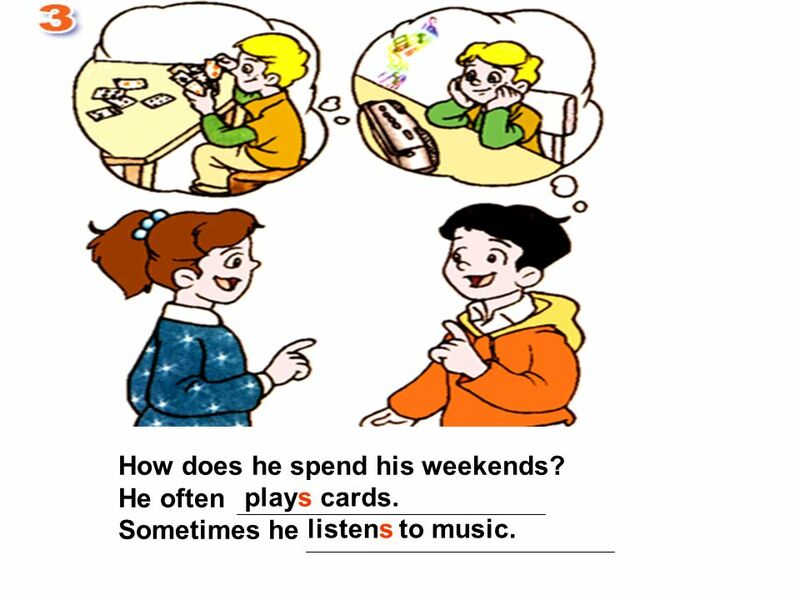 Present simple Making quiestions/negative verbs. Make the sentences negative John Brown lives next door. I do my homework in my bedroom. She reads novels. Unit 9 How was your weekend? Period 3 What did you do last weekend? 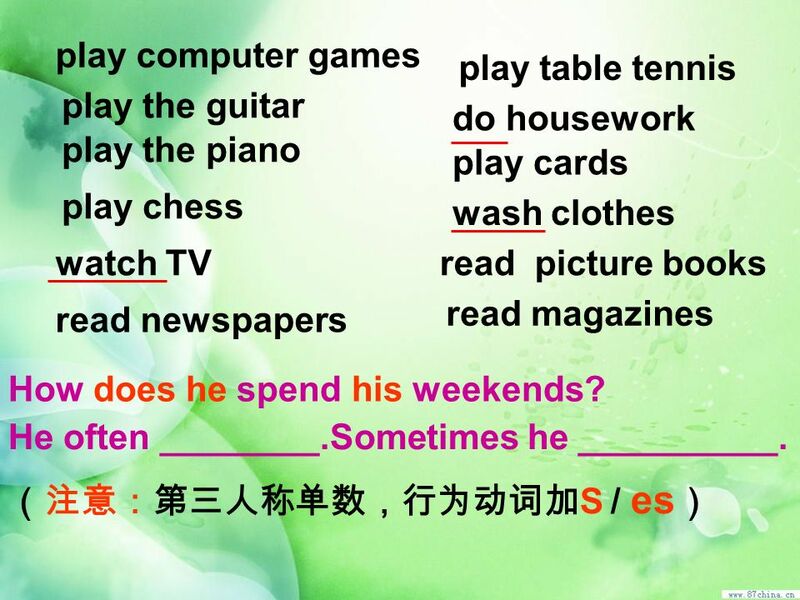 PLAY GUITAR WATCH TV COOK/DINNER TRAVEL / CAR WALK / DOG OPEN / DOOR WASH /HANDS TALK / PHONE LISTEN / MUSIC DANCE/BALLET I studied English. GO.